In the coming months I am due to upgrade at least one client from vSphere 4.1 to 5.1 and so I have been collecting some great notes and articles around doing the upgrade to 5.1. This is a blog posting in progress and I am planning on updating it with how the upgrades went after I have done them. 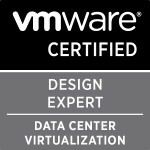 Categories: Virtualisation | Tags: upgrade, VMware, vSphere 5, vSphere 5.1 | Permalink.